I have just finished reading “The Trains Now Departed” and I think it is the most enjoyable railway book I have ever read in a period covering over 60 years. I can’t remember where I saw the review, but it mentioned several of the lines I was familiar with and I ordered a copy immediately. I was not disappointed: in fact I was overjoyed since it exceeded my expectations in the way that it captures the spirit and atmosphere of the subjects. I respectfully agree with Mr George Ottley about the modern lack of readable railway books, having cut my teeth on Hamilton Ellis, Roger Lloyd and L.T.C. Rolt’s works which you mention, progressing on to the histories of individual railways many of which are listed in your notes on sources. I travelled once or twice over most of the Somerset & Dorset and the North Cornwall when they were still open, and on the “main line” of the Stratford-on-Avon & Midland Junction on rail tours. Having an aunt and uncle in Liverpool I did the Liverpool Overhead several times. I once travelled on the Night Ferry. I saw the Shropshire & Montgomeryshire at the end of its career as a military railway whilst running alongside it near Shrewsbury. A few months ago I had a ride on the restored section of the Lynton & Barnstaple, plus a conducted tour of the various station sites and the Chelfham viaduct – organised by the Colonel Stephens Society (although it was of course not one of his lines, unlike the North Devon & Cornwall which we also followed). Although I have always regretted not doing many lines which have been closed I do at least have a flavour of what they must have been like after reading your book! I am hoping to do the Borders Railway on my next visit to Scotland, never having done the Waverley route when it was open. 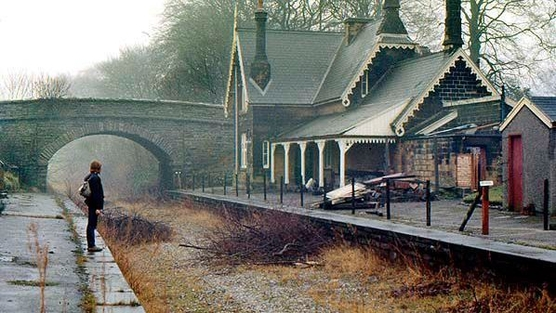 I was a volunteer on the Festiniog for over 30 years – another railway which came back from the dead! The Welsh Highland is even more impressive scenically. At the other end of the scale, I have always been an admirer of the London Underground, and after 70 years in Gloucestershire I am back here and enjoying the modern S stock – though not so much fun as the Chesham steam shuttle! Thank you again for a wonderful book.